aaThe Green Bay Packers have released linebacker A.J. Hawk, tight end Donald Lee and safety Derrick Martin. The transactions were announced Wednesday by Executive Vice President, General Manager and Director of Football Operations Ted Thompson. “We want to thank Donald for all of his contributions to the Packers and for being a good teammate throughout his career in Green Bay,” Thompson said. “He has been a professional and we wish him well in the future. “We appreciate Derrick’s work and contributions over the past two seasons. He has been a good player on our team and we appreciate his passion and energy. I'd say maybe take a look at him. He'd be the MLB so Levy would have to move outside. Hawk could play any of the three positions for us. But somehow, I don't think he'll leave Green Bay. I have to think he wants to stay there. However, he may not like playing in the 34, and want to go back to a 43 where he enjoyed more success. Pay him decent cabbage to bring him here. Don't overpay, but listening to what he's looking for and even if it's more than Tulloch, bring him in. FYI - I wanted Mayhew to check in regarding a trade mid last season when Hawk was benched half the game. Funny how their D was stellar and his playing time went to about 90% of the snaps. Coincidence? He was dominant throughout the Pack's late season surge and playoffs. Looks like it was financial and Hawk is close to returning to GB, stinks. Dammit all! I was hoping we'd get a chance at him too . . . Surprise! 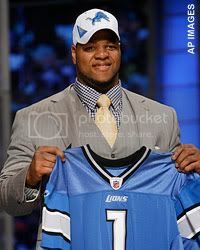 Steensn advocates the Lions signing a released Bucknut! Has there ever been one that he didn't want the Lions to sign? In less than 24 hours, Packers linebacker A.J. Hawk was released and re-signed. News broke regarding Hawk’s new deal around midnight, just as my wife was telling me I have a PFT addiction. The deal become official on Thursday when Hawk put pen to paper. It’s hard to imagine Nick Barnett returning with so much money going to Hawk and Desmond Bishop. Yes, I have said or ignored many former OSU players.